I’m having a hard time wrapping my brain around the fact that my baby girl is turning three. Birthday #1 and even #2 didn’t hit me the way this one has been hitting me. In fact, I vividly remember someone asking me at Ellie’s first birthday party, “It goes sooo fast, doesn’t it?” And, I’m thinking, what’s wrong with me that I think this has been the longest year of my life? Between the major life adjustment, colic, sleepless nights, pumping, returning to work…I’m sorry, it definitely hasn’t been flying by. 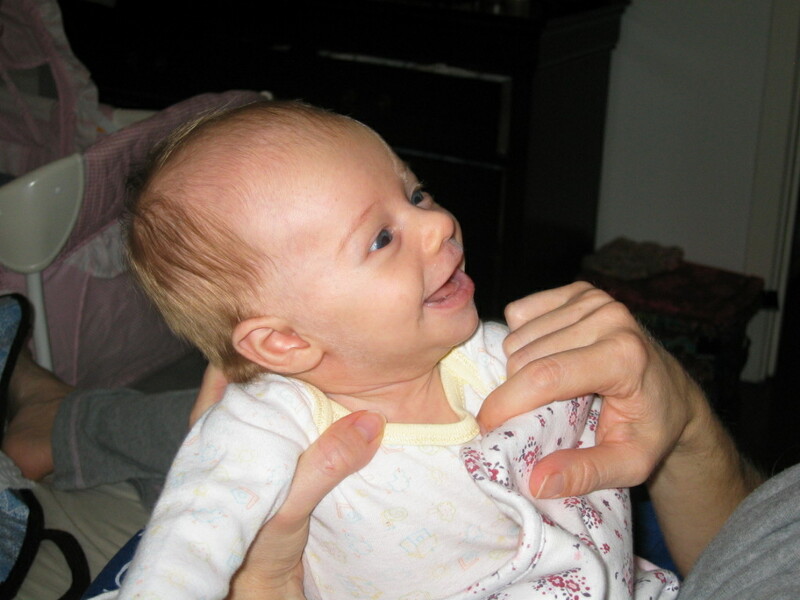 It may have also helped that my baby still wasn’t walking or crawling which are big milestones that begin to move them away from that feeling of the newborn state. I was lucky enough to still have a very baby-ish baby. When her second birthday rolled around, even with all the milestones of the previous year – moving from breast to bottle, learning to crawl, eventually getting herself to walking and her increasing vocabulary, she was still feeling a bit like a baby. And, again, it felt like a very long year. I considered that I must have been doing a good job of embracing each and every moment since time didn’t feel like it was flying. It didn’t hurt that she still took a bottle of milk at night and wore diapers. Then came this THREE thing. Three?! Didn’t she JUST turn two?? This past year has flown by. Maybe some of that is based on how much my little girl has developed in the last twelve months. Somehow, she has managed to learn to speak in full sentences, put on her socks and shoes, take off her shirts and jackets, kick balls with ferociousness, develop an amazing right-hand throw, use a tennis racket, and knows more song lyrics than I do. She throws around phrases such as “go away” and “stop talking” (usually directed at me) and has many other customs of asserting her growing independence. 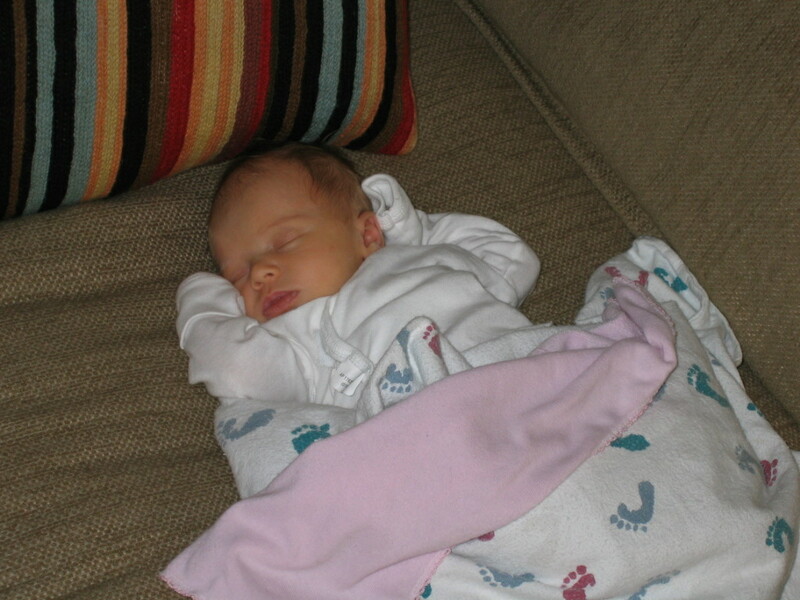 I find myself flashing forward to her 13th birthday and picturing myself wondering where all the time went. Don’t get me wrong…I am so grateful that my daughter IS growing up–that after three miscarriages, much uncertainty, and at times, the temptation to give up trying, that I held fast to my dream and continue to be blessed each and every day with this miracle girl who I am lucky enough to call my daughter. Happy 3rd Birthday, my dear Ellie. I love you more than you will ever know. You teach me so much every day that I am so grateful for. Ellie now - such a big girl! 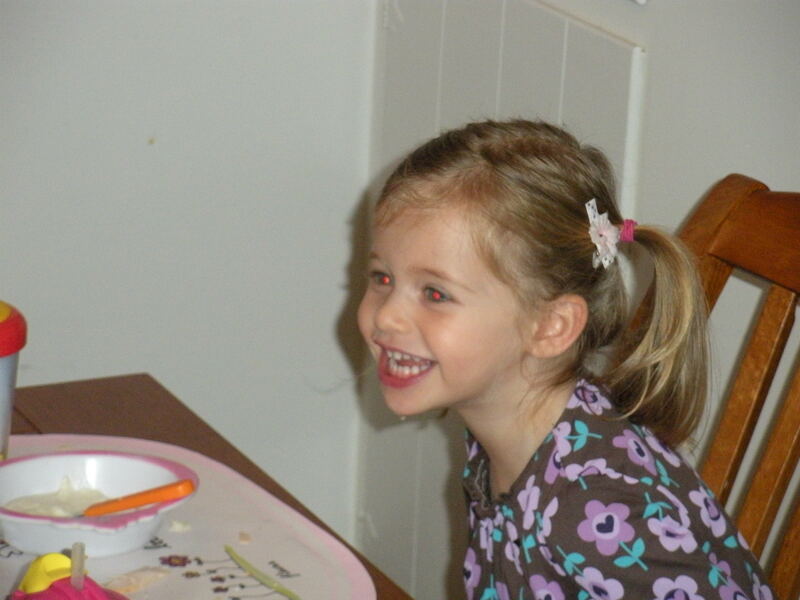 This entry was posted on December 13, 2009 at 9:52 pm and is filed under Ellie. You can follow any responses to this entry through the RSS 2.0 feed. You can leave a response, or trackback from your own site. Oh, Jen, you have me all teary-eyed! You are so right that the first year goes by so slowly and is the hardest year, and that this past year seemed to fly by. I’ve enjoyed going through these milestones with you – from our single days to being engaged together to getting married within the same month to having babies within one month of each other and comparing notes as parents along the way. I look forward to many more years of friendship and watching our children grow up. Love you! Happy 3rd Birthday to Miss Ellie! Her boyfriend Holden sends hugs and kisses.